With Church services and conferences, monuments and museums, art galleries and films, it will be hard to forget the tragedy – except in the atheist West. Perhaps the lack of interest is due to being anti-Christian and so being Russophobic, since the essence of Russophobia is hatred for Christianity? In four weeks’ time we will mark the hundredth anniversary of the massacre of Imperial Russia’s Tsar Nicholas II and his Family. On 17 July 1918 their foreign captors herded the family into a basement of a house in Ekaterinburg, at the meeting point between Europe and Asia. Tsar Nicholas and Tsarina Alexandra, their daughters Olga (22) Tatiana (21), Maria (19), Anastasia (17) and Alexei (13) fell under a hail of bullets. In a ritual of evil the family’s corpses and those of three loyal servants and the family doctor were then stripped naked, mutilated, disfigured, burned with petrol and acid and secretly buried. So fell Christian Russia, which had for over 900 years resisted both the Mongol-Tartar hordes from the East and the Catholic-Protestant hordes from the West, keeping the balance in the world from these extremists. Throughout the ‘Heartland’, from Kaliningrad to the Bering Straits, stretching nearly half-way around the northern third of the world to three Continents, and beyond that in oases of Holy Rus outside the Russian Lands, Russian Orthodox Christians this year celebrate. We celebrate the martyrdom of the last Christian Emperor and regret the fall of the Christian Empire after 1600 years. With Church services and conferences, monuments and museums, art galleries and films, it will be hard to forget the tragedy – except in the atheist West. 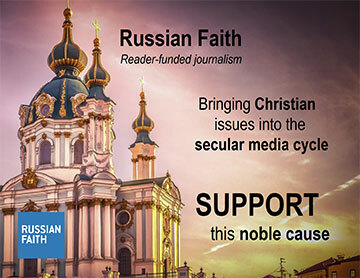 Perhaps the lack of interest is due to being anti-Christian and so being Russophobic, since the essence of Russophobia is hatred for Christianity? After all, atheism is always negative, since it starts with a negation. The so-called Russian Revolution was a coup similar to most other Western-engineered ‘regime changes’ before and since. Jacob Schiff, (1847-1920), the Wall Street banker who had financed Japan during the Japanese War against Russia (1904-1905), publicly boasted of his success in bringing about the coup, with the help of mainly aristocratic Russian traitors and apostates. Imperial Christian gold reserves weighed 1,311 tonnes: they went to the West and not to the people. In 1911 the St. Louis Dispatch had published a cartoon by Bolshevik insider Robert Minor. His published cartoon portrays Karl Marx with a book entitled Socialism under his arm, standing amid a cheering crowd on Wall Street. The Romanov Dynasty was primarily made up of Europe’s royal houses. The blood of the martyrs was that of England, Denmark, Greece, Germany, Romania, Serbia and the Habsburgs, as well as that of Russia. The martyred Romanovs could lay claim to being of the essence of Europe’s royal houses, not so much a Russian as a European dynasty. There were 53 Romanovs living in Russia when Tsar Nicholas II was removed from his throne on 15 March 1917. Eighteen of them were slaughtered in heart-wrenching circumstances. 100 years on we now await the coming Tsar, the next Christian Emperor from the Romanov family, who alone can through Christ restore sanity in this world gone mad.